Here at NSI, we have several different nail forms for our technicians to use. Most techs who use sculpting techniques have access to a variety of flexible forms for their specific clientele needs. Anywhere from stilettos to short, we have a form for that! The major cause of enhancement breakdown with any gel system is that the gel has not been properly cured. 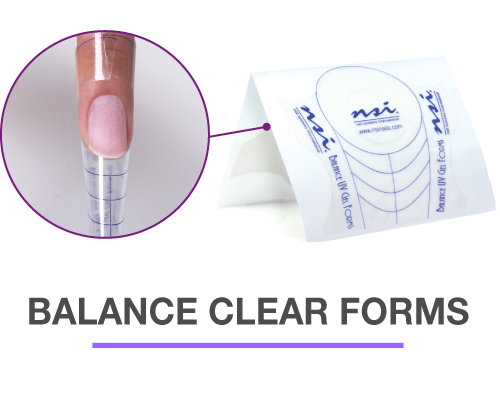 The Balance Clear Forms are perfect for sculpting with your gels because the light energy can penetrate through the clear material to ensure a complete cure. 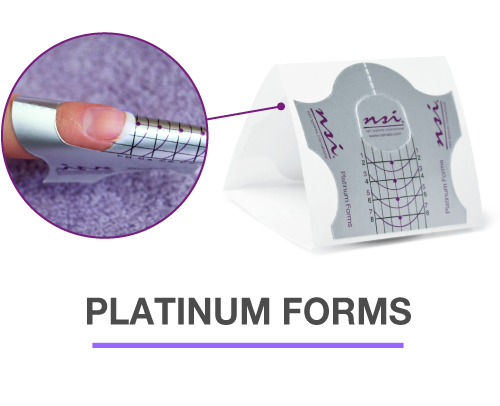 The Platinum Nail Forms are the ultimate nail form for techs that need a versatile nail form. These forms are great form for sculpting traditional nail shapes, active length and even alternative nail shapes. Our Platinum Forms also work beautifully with gels as long as you have a thin clear gel base layer under your enhancement, the gel will cure in the light. 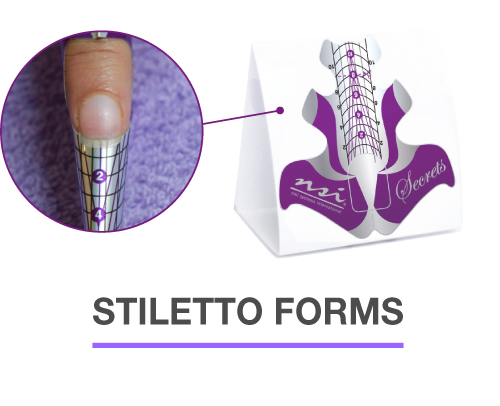 The Secret Stiletto Nail Forms are great for taking your traditional sculpted nails to a new level! These forms are ideal for sculpting any alternative nail shape like the stiletto, edge, gothic almond, lipstick and you can even use them for traditional nail shapes. These are our longest nail forms, great for sculpting longer enhancements without doubling up forms. They are designed with a sculpting grid to keep length and shape consistent from nail to nail. Similar to our Platinum Nail Forms, you can even use these forms for sculpting with gels, as long as you start with a thin clear gel base layer.